STEAMBOAT SPRINGS — When the Yampa River went on call for the first time last year, 65% of water users on the river had to cut back or stop using their water because they didn’t have a measuring device or headgate on their diversion. In light of that, Colorado Division of Water Resources Division 6 Engineer Erin Light sent water users on the Yampa a notice earlier this year, requiring that they install these devices. “We know we had a problem with measuring devices … but because of this call and this recognition of a problem of having so many structures without measuring devices, I made the decision to send out notices for the installation of headgates and measuring devices,” Light told the audience at the annual State of the River presentation in Steamboat Springs earlier this month. Light is asking users to install devices by July 31 or ask for more time. If someone does not comply with the notice or receive an extension, they’ll receive an order to install these devices. Not complying with the order can result in a locked headgate, which means a user can’t use any of their water, or a $500 fine per day for every day a user continues to divert water without a headgate. These structures are required by law, but the Yampa River is still the Wild West when it comes to water use. The Yampa was among the last, if not the last, large rivers in the state to go on call. The area also is among the last in the state to have so many diversions without headgates. When the river went on call, even water users who had senior water rights and were using less water than they were legally entitled to were not allowed to use their water because their ditches don’t have measuring devices that count how much water is used. That’s means about 65% of the devices Light and her staff track in the Yampa River basin — about 850 — were shut off. A similar notice and order was issued after the Elk River was placed on call in 2010. These devices are important, Light said, because in the state’s eyes. The value of a water right is based on the record of how much water that crops, livestock and people consume. Without a way to measure the water, this record is an estimate, with water commissioners — the people charged with monitoring water rights on the ground — taking an educated guess at how much water is flowing based on how quickly a dandelion head floats downstream. And how the state values a water right is becoming increasingly important as water managers start to plan for the possibility of an interstate call under the Colorado River Compact, which would require Colorado to cut back use as a state in order to send water downstream. Water managers are already working to balance increased demand for water with less available water. “Demand management” is one program under development that could pay farmers who volunteer to temporarily fallow their fields and send more water downstream. This record is also important in maintaining a water right. Every 10 years, the state evaluates whether water users have stopped using all or some of their water right in a process called abandonment. If a water user isn’t using the water they have a right to, they could lose some or all of that right. These devices don’t have to be anything fancy, and Light said many ranchers make their own slide gates with what’s essentially a ruler measuring flow inside. The Upper Yampa Water Conservation District, which includes much of Routt County, offers mini-grants for up to half of the project cost or $500 to assist water users with the cost of installing water control and measuring devices. Each device can earn a grant, so if a producer is installing a headgate and measuring device, they can receive up to $1,000, Upper Yampa General Manager Kevin McBride said. 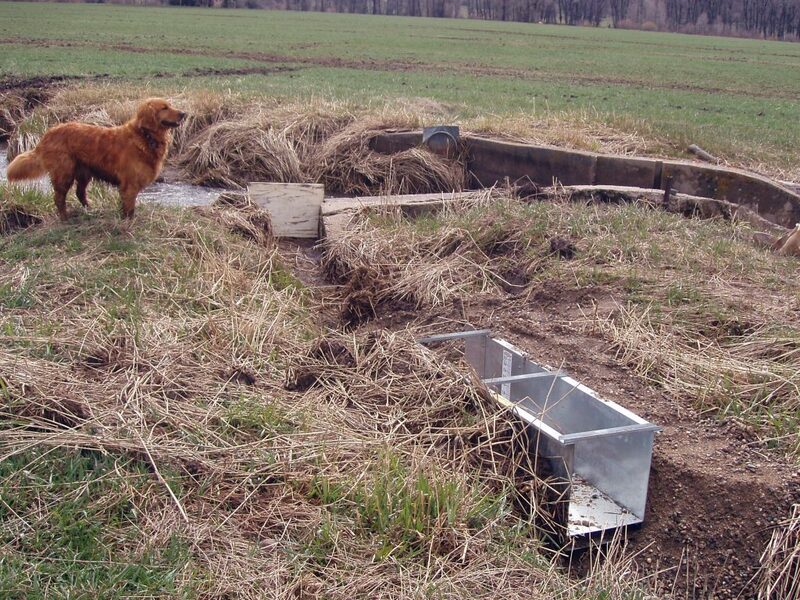 A wooden headgate and measuring device on a ditch at the Fetcher Ranch in North Routt. Last year’s call proved water shortage can happen, even in the Yampa Valley. “We’re not immune to administration,” she said. 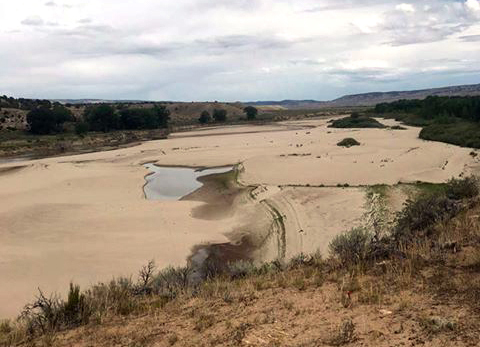 Light wants users to understand the issues of administering a call, both locally and statewide in the instance of a Colorado River Compact call.